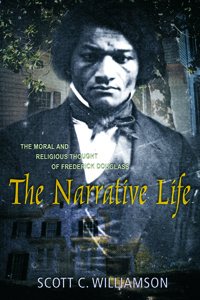 The most comprehensive consideration of Douglass's years in slavery for his mature moral and religious thought. Frederick Douglass is remembered for his fiery rhetoric as an abolitionist, and his speeches, autobiographies, and editorials have been written of frequently, and recently he has been the subject of intellectual biographies. But Douglass's moral and religious thought has received less sustained critical attention. A general interpretation is that he began as an evangelical and became a religious liberal. According to Scott C. Williamson, however, this view under-reports Douglass's enduring fondness for what he called "the Christianity of Christ." For all his alleged heresies the sage of Anacosta loved to sing Christian hymns and found both edification and inspiration in public worship. His religious commitment was closely connected to his moral life. Often called simply a humanitarian, Douglass was , in fact, much more than that. He was a predecessor to twentieth-century civil rights activism. Thus, Douglass defies easy categorization. Williamson has written a provocative book using the insights of narrative ethics. Among the central insights of a narrative approach are two observations: that character and circumstance render each other, and that we inherit the moral system(s) of the discrete persons and communities that populate our world, and in turn, edit what we inherit. We are, according to this approach, simultaneously shaped by and shaper of moral meaning. Williamson focuses on Douglass's early years--a unique approach in itself--and finds enduring moral and religious themes. Douglass's Christian faith was significant for him for his entire life.